This is simple HOW TO enabling full template support including feedback. 3. Select to create NEW PROJECT using the included APC40 template. 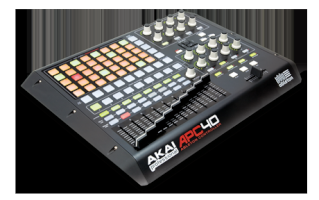 MIDI Channels should be set to Omni,select AKAI APC40 in Feedback unit for both Feedback type and MIDI output too! im having a hard time understanding how is the best way to set up the effects on playing videos, i know how to assign videos, how to mix layers, edit the effects, i know i can ad an effect to a video, but their should be an easier way to be playing a video, apply an effect, and transition to another video, can anyone help with a how to?